In episode #25 of the New Zealand Brewer Podcast we are joined by Kieran Haslett-Moore of North End Brewing. Located in Waikanae, on the Kapiti Coast, North End is known for producing beers that represent a Kiwi take on traditional European beer styles. Kieran shares the story behind the brewery, the beers that they brew, and he also offers a few insights into his brewing process which homebrewers are sure to appreciate. He was also generous enough to share the recipe for their Saison, a delicious beer in it’s own right which also happens to be the base beer for a number of their unique creations. To listen to the interview just go to iTunes >> Search “New Zealand Brewer” >> and subscribe. The episode should start to download immediately. You can also click any of the following links to find the New Zealand Brewer Podcast on iTunes, Google Play, Stitcher, or wherever you listen to podcasts. NOTE*** The New New Zealand Brewer Podcast is now available on Spotify! Click here to listen. You can also listen right here on the site. Just click the play button below. If you enjoy this episode then please do us a favor and go to iTunes, click “subscribe”, and leave a review. Those ratings and reviews are crucial to the success of the podcast. Your help will be greatly appreciated. And as always, please leave any thoughts, opinions, or feedback in the comments below. Cheers! 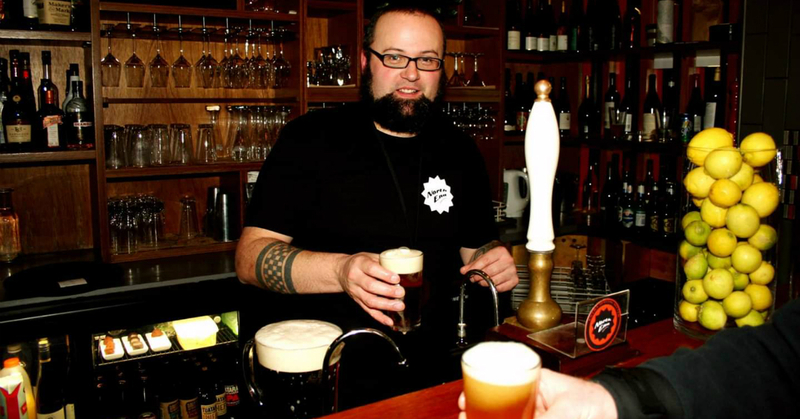 John Oszajca is the beer writer for Hospitality Business Magazine and the founder of the New Zealand Brewer Online Magazine and Podcast. Find him on Twitter via @JohnOszajca. Love North End’s beer. Thanks for getting them on. Great episode as usual! Our pleasure Tom. Glad you enjoyed the episode. NZB Podcast Episode #20 – Hey Day Beer Co.